Each year, Gloucester Stage seeks out eight young theater professionals interested in creative ownership, furthering their education, networking, and real world experience with the added support of residence and stipend support. Designed to be an optimal experience for recent college graduates, we build a strong ensemble in which every member has a voice and plays a role. What makes Gloucester Stage unique? Gloucester Stage Company is Cape Ann’s premiere professional theater company nestled on the shore, and part of the greater Boston theater community. The intimate performance venue has provided the perfect setting for premiering new works and rousing classics over the past 39 seasons. Since its founding, Gloucester Stage, under contract with Actors Equity Association, has been a place where dedicated artists create theater that matters at the highest level of professional achievement. Upon completing a season with Gloucester Stage, apprentices will have worked on all Main Stage productions alongside professionals, and will have been an integral part of running a theater. After a season with Gloucester Stage, apprentices will have the depth of knowledge to form their own companies, seek full time employment with professional theater companies, or pursue graduate degrees. All applicants must be graduating / have graduated from a four-year college/university program. An emphasis in theater study is preferred. Willing to review applicants with special circumstances on a case by case basis. Must be positive, collaborative, hardworking, flexible theater makers with a deep passion for the work. Weekend and evening availability is a must – this is a full-time program, you will not be able to work another job. Computer literate, including Microsoft Word and Excel, and ready to learn. Willing to review applicants with special circumstances on a case by case basis. In an effort to gain a well-rounded experience in professional theater, Gloucester Stage Company Apprentices will each be expected to work shifts in the theater’s Box Office and Concessions. All Apprentices, regardless of position, will participate in tech week activities and with fundraising/special events as needed. Apprentices should be professional and confident; should have excellent social and communication skills; should be flexible, good-humored, and have a desire to learn. Apprentices will be provided with significant learning opportunities, through both observation and participation, and through structured learning programs. Mostly, we understand that a successful apprenticeship is a two-way street. We want your ideas and enthusiasm and we hope to learn as much from you as you learn from us. Works alongside the creative staff in producing a wide variety of various performances throughout the season. Assists directors on all six productions and will support the dramaturgy of each production. Provided the opportunity to direct play readings and other special projects. Must have a strong sense of collaboration and curiosity. Reports directly to the Artistic Director. Teaches theater education programs alongside our Education Director for students ages 6 to 18. Helps plan youth specific programming such as the Youth Playwrights Workshop and promotional performances around town. Coordinate class information with parents and students. Implement planning for PlayTime Stories, an interactive performance program for pre-school aged children. Work with Marketing Director to publicize and promote the youth program. Support the Youth holiday production. Reports directly to the Education Director. Work in direct conjunction with the Production Manager and assists various Equity Stage Managers throughout the season. Serve as Assistant Stage Manager on select productions and be present and active in rehearsals and running performances. Additional duties may include procuring props, setting up rehearsals, assisting with wardrobe, or lead a run crew. The ideal candidates will have stage management experience, a positive attitude, and strong work ethic. Eligible for Equity Membership Candidacy points. Assist the Production Manager in preparing for and running productions. Attending production meetings, supporting with communication of project timelines, creating schedules, and record-keeping. Assisting with ordering and acquisition of supplies and props. Has a working knowledge/interest in multiple areas of theater and willingness to jump in wherever they’re needed. Helps to maintain a clean and safe shop space. Supports efforts in organizing furniture, materials, and props storage space. Opportunity to work alongside various professional sound and light designers throughout the season. Lead production strikes and load ins, light hang and focus, and fulfill other technical demands. Candidates for Scenic Carpentry/Technical Apprentice must include a portfolio upon applying. Digital Content Creation – Helping to tell our mission impact story through promotional material and social media presence. CRM Software – Learn Ovation Ticketing, a leading industry ticket software program, connected with Theatre Mania publication. Institutional Giving – Experience grant writing with opportunity to take responsibility for one complete grant from start to finish. When are applications accepted? Application Deadline is March 15th, 2018. Applicants will be contacted for interviews by March 22nd and we hope to have final decisions by April 1st. Is housing provided? Yes. Most apprentices are provided with fully furnished, shared housing. All utilities are covered by the theatre. We also accept apprentices who can provide their own local housing. Is the position paid? Yes, all apprentices receive a weekly stipend of $100. Is college credit available? No, all apprentices must already have their college degree. Can I have another job while working at Gloucester Stage? No, the hours are rigorous and there will not be time for additional work. Can I expect to work crew? Yes, depending on the needs of each production all apprentices can expect to work crew. How many hours can I expect to work a week? Apprentice work hours vary based on the needs of each of the six shows in our season. On average, however, work weeks range between 40-50 hours. When will the Apprentice Program begin? The beginning date can be flexible with your school/life schedule, but all apprentices will need to be moved/settled by May 25th. We try to coordinate the ensemble’s schedules so all team members arrive at a similar time for orientation. I am only available through the end of the summer, can I still apply? We strongly encourage applications from those who can stay for the duration (The program concludes with the end of the season in late October). Can I apply for more than one position? Yes, but please specify your preferred position. When will interviews take place? We will interview by phone, Skype, or in person, as applications arrive. I have a significant other, can they live with me? Unfortunately no, our insurance does not cover anyone outside of the program to live in our shared housing. I have a pet, can they live with me? Unfortunately no, there are no pets allowed in the shared housing. Do I need to submit a portfolio? Some positions may require submission of a portfolio. Please see the position descriptions for details. How do I apply? You apply by submitting all relevant materials, including an application and portfolio (where applicable). See the “Application” section above. What is it like to live and work in Gloucester? Gloucester is a beautiful, cape town located about 40 miles north of Boston (45min drive or 1hr by train), and is best known as the setting for the movie “The Perfect Storm” and the TV show “Wicked Tuna.” The stage company is located on the harbor and 5 minutes from Niles and Good Harbor Beach (both well-known summer spots on Cape Ann). The city has many good locally-owned shops, restaurants, and cinemas. National brand stores/ restaurants like Chipotle and Starbucks are prevalent in the nearby towns of Beverly & Danvers. (Note to Starbucks lovers: as this is New England you will be required to at least try Dunkin’ Donuts). A complete welcome guide will be provided to you upon acceptance in the program. 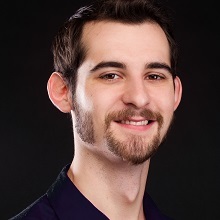 DEVIN CRISTOR (Stage Management) is a recent graduate from University of North Texas, with a B.A. in Theatre. 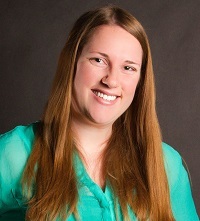 The Dallas native has served as stage manager, assistant stage manager, and intern at various theatre companies in the Dallas/Fort Worth Metroplex. 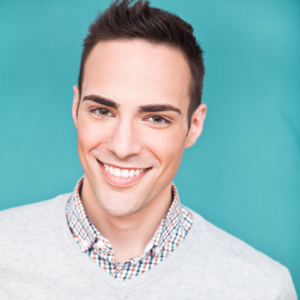 His career goals consist of becoming an established stage manager for Broadway and Off-Broadway theatre, direct new work plays for regional theatres, and teach. He is grateful for the opportunity the Gloucester Stage Company has provided him. 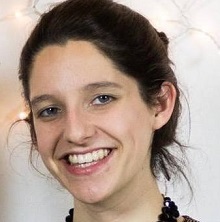 JULIA LORELLO (Marketing/Development) grew up locally in the town of Ipswich and is a recent graduate of Bennington College in Vermont with a degree in theater and media. Throughout her education Julia has been fortunate enough to experience many different aspects of theater, from performing at the Edinburgh Fringe Festival to the production of her play, Eyes They Close. Since graduating, Julia has assisted with productions at Wheelock Family Theatre in Boston, as well as given tours as a 1920’s parlor maid at Ipswich’s Castle Hill estate. She is an adamant believer in the power of live theatre to generate change and restore hope in a community. Julia is excited to see what magic this season holds, and hopes you are too! 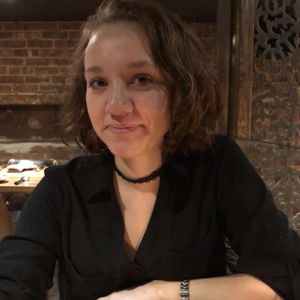 CLAIRE MORSE (Production Management) recently graduated from Mount Holyoke College with a degree in theatre, where she was fortunate enough to study every aspect from directing to costume design, and graduate with a focus in technical theatre. 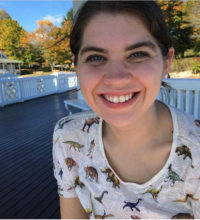 While at Mount Holyoke Claire worked as the lighting assistant, workshop assistant, and volunteer in the costume shop, which allowed hands-on experience in the season of productions. She also studied abroad at the University of Kent in Canterbury, England, where she continued to study theatre and film. She has come to realize what excites her most about theatre are the interconnectedness and teamwork between the different departments, which is why she is thrilled to be the production management apprentice this season. 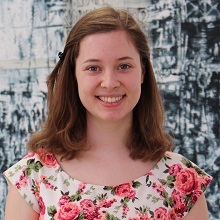 LAUREL REITER (Education) is a graduate of Muhlenberg College, with a BA in English and Secondary Education. While in college she participated in theater in several different ways; makeup and hair, stage management, directing, and performing to name a few. Laurel’s last contribution was assistant stage-managing Salome by Oscar Wilde during her senior year. She also served as a summer Education/Dramaturgy intern at the Shakespeare Theatre of New Jersey where her interest in theater education was confirmed. Since then she has worked as a teaching artist and discovered her desire to work in theater administration. When not teaching children their stage left from their stage right she can often be found reading or searching for someone to play board games with. She is overjoyed to be at Gloucester Stage Company and cannot wait to see what she will learn. 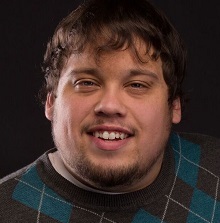 Drew Cleveland (Directing) recently graduated from Gordon College with a bachelor’s degree in Theatre Arts. His theatrical passions are acting, directing and writing. Some of his credits include playing Owen in Translations, Salieri in Amadeus, and writing/directing his own senior thesis, All Will Be Well. Most recently, he appeared as an understudy for Russell in GSC’s production of Bank Job and will be understudying for Noah in the upcoming The Rainmaker. Above all, he values the ability of theatre to awaken, disturb and inspire. Drew believes strongly that theatre teaches us to always pursue joy in spite of despair. He is infinitely grateful to be working alongside the staff and production teams at GSC this Summer. Katie Lewis (Production Management) is a recent graduate of Loyola Marymount University in Los Angeles, California where she earned a B.A. in Theatre Arts. While at LMU she strived to learn about every aspect that goes into putting on a theatrical production. She did this through working as a scene shop technician and holding positions on multiple production teams as a designer, director, and stage manager. For the last two years, Katie has earned practical experience through working in stage management on productions in LA with the Greenway Court Theatre, The Blank Theatre, as well as an arts administration internship with the Space Theatre in London, England. 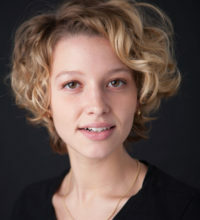 Her love of all areas of theatre, and problem solving nature, encouraged her to pursue a career in Production Management. 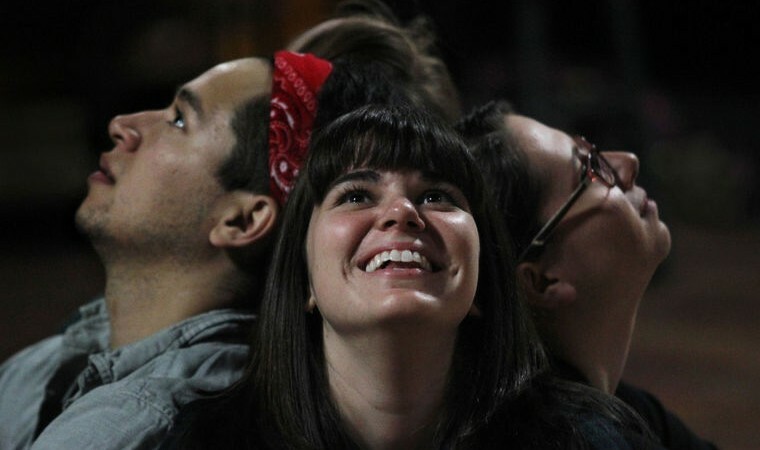 Katie is excited and grateful for the experiences that await her at Gloucester Stage Company. 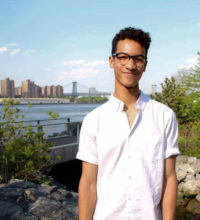 Londeen McEachron (Scenic Carpentry/Technical Direction) was born and raised in New York City. 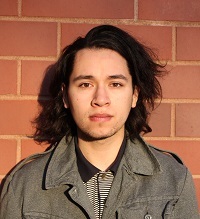 He is an upcoming sophomore pursuing a BFA in Technical Production at Boston University. 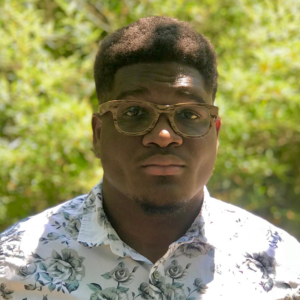 Londeen has been working in theater for four years and is excited to spend his summer as a technical apprentice at Gloucester Stage, doing what he loves on the sunny north shore of Massachusetts. Elizabeth Pritchett-Montavon (Management) has a B.A. in Liberal Arts with a concentration in Theatre from Sarah Lawrence College in Bronxville, NY. While at Sarah Lawrence she focused on producing and stage management; she spent her final year of college as Manager for the Downstage Theatre Company, through which she produced a season of five shows including Oscar Wilde’s Lady Windermere’s Fan as well as a festival of three student-written plays performed in rep. She also spent a year studying at the British American Drama Academy in London. 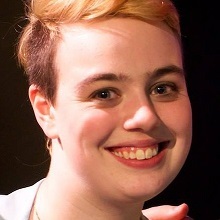 Annika Schultz (Education) is a recent graduate of Gordon College in Wenham, Massachusetts, with a degree in theatre arts. Her experience at Gordon College exposed her to many aspects of the craft, making her a jack of all trades with an appreciation for all roles in theatre, but an especially strong interest in directing and stage management. She looks forward to continuing to explore bits of everything as she works with the Gloucester Stage education program! 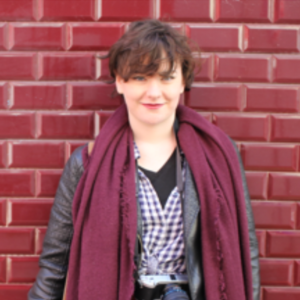 She believes that all people should feel welcome to be empowered by theatre, especially children, and hopes to work towards this inclusion as she helps introduce young people to theatre. 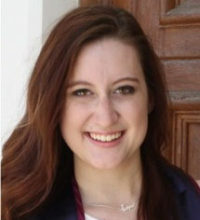 Jennifer Spirito (Stage Management) is a recent graduate of the University of Rhode Island. She graduated with a BFA in Theatre double concentrating in Stage Management and Directing. During her time at URI, she took part in many shows doing anything from performing on stage, directing her own one act play, assistant stage managing, stage managing and working on the theatre department’s social media team. Along with her work at school, each summer Jen worked at a local theatre company stage managing musicals such as “Carrie” and “Heathers: the Musical.” Jen is very excited and grateful for this opportunity to start her professional career at Gloucester Stage Company. 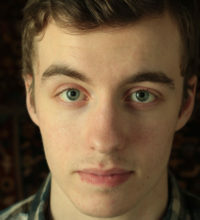 Michael Furlong (Stage Management) Hello! My name is Michael Desmond Furlong. I am the Stage Management Apprentice here at the Gloucester Stage Company. I am a recent graduate of Fitchburg State University, where I studied communications media with a concentration in theater and in film. My goal is to one day work as an actor! In order to reach this goal I believe that I must first have real working experience in other aspects of a stage company. I am very excited for this incredible opportunity to Intern at the Gloucester Stage Company. 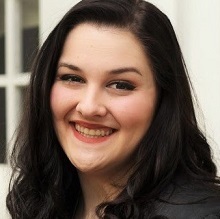 Hannah Guselli (Company Management) is a recent graduate from Fitchburg State University, graduating with a degree in Communications Media and a concentration in Theatre. Her first semester at the University, she enrolled in an Intro to Theatre course where she learned about the various histories of theatre and the well-known playwrights that influence theatre today. After performing in a Tennessee Williams scene, for the first time with an audience, she knew this is what she wanted to pursue and she has loved it ever since. She traveled to the Edinburgh Fringe Festival with the university and performed in the ensemble in an alumnus written play, Fausted. She appeared in Noises Off where she played Poppy, which was her favorite play to be involved in. Following this, she appeared in 12 Angry Jurors as Juror number 12. She plans to continue her journey as an aspiring actor and plans on using valuable tools she is learning here at Gloucester Stage Company to pertain to her future. She is here as the Company Management Apprentice, grateful to be learning all aspects of the theatre. 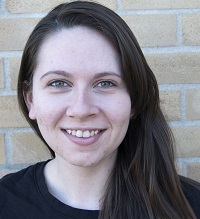 Julia Fioravanti (Stage Management/Production) is a recent graduate of Tennessee Wesleyan College in Athens, TN. While at TWC Julia has acquired a wide variety of skills including acting, costume design, set design, directing, and stage managing. In the last few years she has found a love for the technical side of theatre and has focused on her stage managing and design work, completing an extensive capstone project in spring 2016 on the shows The Importance of Being Earnest by Oscar Wilde (acting, set design, costume design, light design) and Twelfth Night by William Shakespeare (stage management, assistant director, costume design). Julia is grateful for the opportunity Gloucester Stage Company has given her to expand her knowledge of Stage Management in a professional theatre and can’t wait to see what the future has in store for her! 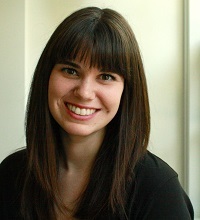 Morgan Flynn (Directing) is an alumna of the BFA Performance Program at Salem State University. Morgan graduated as a Commonwealth Honors Program Tsongas Scholar; for her capstone Honors Thesis she served as Peter Sampieri’s Assistant Director on Frank Galati’s adaptation of The Grapes of Wrath by John Steinbeck. This past January she competed in the Kennedy Center American College Theatre Festival Region 1 Stage Directors and Choreographers fellowship program, where she was awarded the David Wheeler Award for Actor/Director communication. Last year, Morgan directed Port by Simon Stephens for the Student Theatre Ensemble for which she received a KCACTF Merit Award for Excellent Student Direction. Outside of acting and directing, Morgan enjoys improv, writing, smelling flowers and taking time tea. She could not be more grateful to Gloucester Stage for this immersive opportunity to do what she loves. 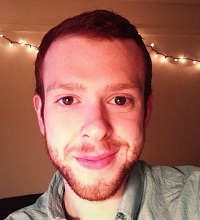 Matthew Lewis (Management) is a recently graduated Fitchburg State University student with a Bachelor’s in Communications Media with concentrations in Theater and Professional Communications and a Minor in Business Administration. 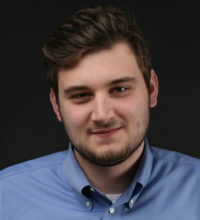 While on campus he enjoyed performing with the student-run improv performance team, occasionally testing his coordination with the dance club and, most of all, assisting with and performing in multiple productions on Fitchburg State’s Mainstage. Being a three time Irene Ryan nominated actor, he honed his performance abilities through several different acting styles with several different types of director as well as had the opportunity to market, advertise and work the public relations for a handful of these performances. When he is not working towards one day being a successful Managing Director, he likes fish tanks, watching comedy specials and freshly brewed pots of coffee. Coty Markee-Culbreth (Scenic Carpentry/Technical Apprentice) At 22 years old Coty has taken part in over 70 productions both plays and musicals both on and off stage. As well as taking part in countless films both student and professional. Acting since the age of 6 he found the tech side of life whilst being in high school. Though it wasn’t until the age of 19 that he truly found Sound design and fell in love instantly. Over the past couple of years of studying the ins and outs of Sound design he has now worked alongside famous actors and ran 3 separate shows at the same time working sound for all of them, and even helped create sound for an up and coming show to soon be making its way to New York and become a professional show. He has done all of this while being hard of hearing, soon to be completely deaf. Having dealt with this all his life it was any old thing to him but to find out his calling was to become a sound specialist was another whole fish to fry. He has been taught both self and professionally to run sound both by hearing but also through sight by seeing colors and numbers to demonstrate which sound comes next. Even though he loves sound design he prides himself on his adaptability. He is able to jump into anything and figure out how to do it inside and out fairly quickly and soon will be able to add another interest to his life. He’s sort of a jack or I guess Coty of all trades! 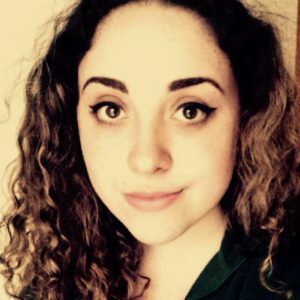 Maeve McCluskey (Stage Management/Production) is a recent graduate of Worcester Polytechnic Institute, where she double majored in Humanities and Arts: Drama/Theatre and Interactive Media and Game Development. She initially began theatre at WPI solely as an actor, but quickly got swept up into the world of technical theatre. During her time at WPI, she performed onstage, stage managed, created graphic and sound designs, ran a publicity campaign, and served many a time as a general crew member. She rounded out her collegiate career by directing Oscar Wilde’s The Importance of Earnest for her senior capstone project. Now that she is moving on from college, Maeve would like to pursue a career in professional theatre. 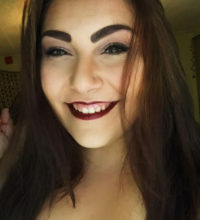 She hopes to use her joint passions for acting and stage management in harmony to live the best life possible, while putting her other degree to use in creating art and character design. 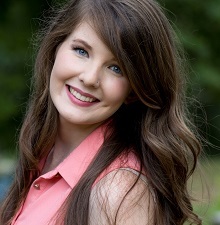 Maeve is a member of the Rho Kappa cast of Alpha Psi Omega, the national collegiate theatrical honor society. Jessica Richmond(Scenic Carpentry/Technical Apprentice) is a recent graduate of Gordon College with a degree in Theatre Arts. She is passionate about all areas of theatre, with an emphasis in stage management, set building, and acting. Some of her favorite credits include stage managing Metamorphoses, playing Little Sally in Urinetown, and co-writing and co-directing The Edge Effect which had a run at the Edinburgh Fringe Festival. Work in theatre has taught her that anything is possible because theatre artists make the imagination come to life. Jessica is a goofball that loves to work. She is excited to start her professional career and wants to always relish in the joy of creating. Sarah Vandewalle (Education) is a 2016 graduate of Tufts University, with a B.A. in Drama. 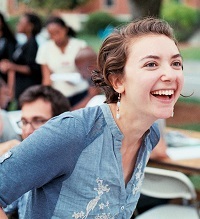 During her time at Tufts, she was awarded the Tisch Undergraduate Research Award for her work on Boston’s Federal Theatre Project. 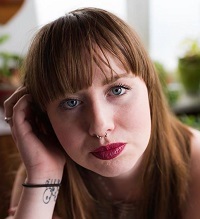 She has also worked with both the New Repertory Theatre and Boston’s Fresh Ink Theatre. Sarah has truly enjoyed playing multiple roles inside the theatre; dramaturg, actor, producer, run crew, stage manager, costume crew, and more. She looks forward to sharing her experiences with young theatre artists. Outside the theatre, Sarah loves to learn new baking recipes as often as she can. ALLISON BENKO Directing Apprentice Allison Benko is an alumna of Tufts University. A Drama major with a strong interest in puppetry and applied theatre, Allison also considers herself an unofficial minor in Folklore and Mythology. Last spring, she worked on Shakespeare’s Twelfth Night (or What You Will), which took place in Somerville’s Powderhouse Park, and featured over a dozen original compositions and arrangements by cast members. She went on to direct the charming musical comedy She Loves Me as her senior capstone project, and to assistant direct productions of Edges and Doctor Faustus. Currently, she is directing the world premiere of A Doll’s House: An Opera, a new work by Grace Oberhofer based on Ibsen’s famous play. On those rare occasions when Allison is not acting or directing, you may find her maddeningly contemplating Marlowe’s mysterious murder, or playing Dungeons and Dragons. She is thrilled to receive this opportunity from Gloucester Stage, and looks forward to making a home for herself here. 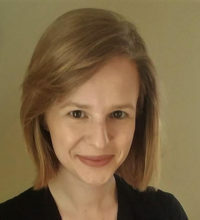 CAITLIN KENYON Marketing Apprentice Caitlin Kenyon is a recent graduate of SUNY Purchase College with a BA in Arts Management and Theatre and Performance. Born and raised in Rochester, NY Caitlin knew from a very young age that all she ever wanted was to be a member of the theatre community in any way she could. Before being hired by Gloucester Stage she was employed by Ensemble Studio Theatre in New York City as their Development Intern. New York City Performance Credits: Bless Me Father (Lawyer; Ensemble Studio Theatre). Purchase College Performance Credits: Bull (Isobel), Lost.Lonely.Loons. (Ace), Street Theater (CB), Betrayal (Emma), The Skriker (Nelly Longarms). Film Credits: Heights of Recluse (Aurelie), Community Service: The Movie (Kimberly). SIDNEY JUNK Stage Management/Costumes Apprentice Sidney Junk recently graduated from Winona State University in Minnesota with a degree in Theatre Arts. She began college at St. Ambrose University in Iowa with the mindset of being an actress but got swept into the world of tech. Stage management, lights, and costumes are her primary focuses in technical theatre. She has stage managed multiple shows in her college career including Chicago, The Venetian Twins, and Les Liaisons Dangerueses. Sidney would like to thank her family, faculty, and friends for all their encouragement and support. JENNA WORDEN Stage Management/Production Apprentice Jenna Worden, with a vast array of interests in theatre, history, and teaching, considers herself a story teller. A strong believer in the powers of knowledge and artistic expression, Jenna is an advocate for socially-motivated art. She has used her experiences with historical research and travel abroad to highlight the injustices faced by the people of Central America, particularly Guatemala. As an educator, Jenna encourages her students to create meaningful work surrounding their passions, whatever they may be. In the theatre Jenna primarily identifies as a stage manager, though she has significant directing and performing experiences. Credits of notability at Northern Arizona University include stage managing Of Mice and Men, directing the premiere of Forgotten Places by Mac Groves, and performing with NAUghty Bits Improv Troupe. Jenna is a member of USITT. ROGIN FARRER Scenic/Construction Apprentice Rogin Farrer is a theatrical designer and carpenter. He is a recent graduate of Vassar College, where he developed his craft while studying the history, theory, and literatures of world drama. As a lighting and scenic designer, he approaches his work with a holistic sensibility and an interest in all elements of the production working together as a unified whole. His design credits include Passion Play, Arcadia (lighting, Vassar College Experimental Theater), The Mousetrap (scenic, Philaletheis Society), and Red (asst. lighting, Portland Stage). He also directed his senior thesis, God of Vengeance, by Sholem Asch. AVERY DANIELS Dramaturgy/Education Apprentice Avery Daniels is a recent graduate of the University of Puget Sound in Tacoma, WA. She is originally from San Diego, California, where she spent most of her time dancing with her competitive hip hop team, doing improv, and stressing out about homework. Once settled in Tacoma, Avery took theater classes and English classes and got to find out what she’s really passionate about: playwriting, acting, dancing, and working with kids. She spent six months living in London and studying screenwriting. She hopes that she’ll someday live in London again and work in the theater. Gloucester Stage Company is committed to creating a diverse and inclusive environment and is proud to be an equal opportunity employer. Applicants from populations underrepresented in the theater field are strongly encouraged to apply. All qualified applications will receive consideration for employment without regard to race, color, religion, gender, gender identity or expression, familial status, sexual orientation, national origin, ability, age, or veteran status. Gloucester Stage Company remains committed to providing a safe and secure environment for all of our volunteers, artists, and staff. We prohibit sexual harassment in all forms, providing clear procedures for reporting complaints about conduct, and following through with appropriate and timely disciplinary measures.